NASA's first of -its-kind asteroid mission designed to defend the planet from hazards in space will ride a Falcon 9 rocket set to launch from Vandenberg Air Force Base in two years. 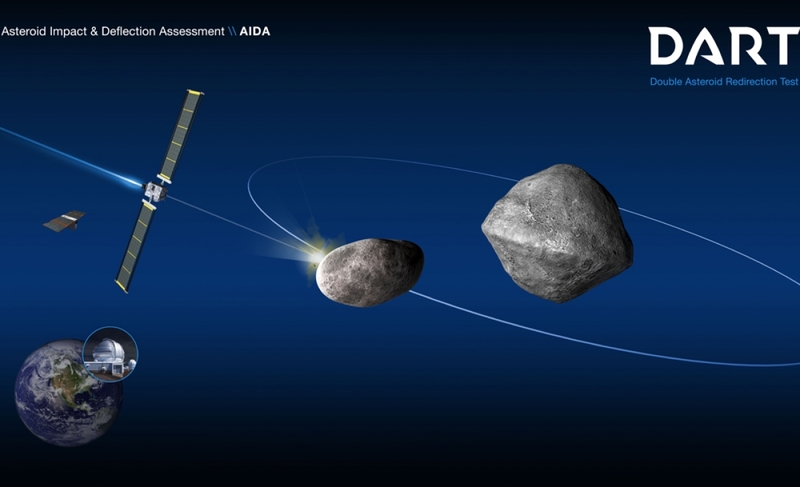 The space agency announced recently that it had chosen the Space Exploration Technologies rocket to carry the Double Asteroid Redirection Test (DART) mission, which is part of the Johns Hopkins University Applied Physics Laboratory. The spacecraft will demonstrate the capability to deflect and asteroid by colliding a spacecraft with high speed, a technique known as a kinetic impactor. By slamming the spacecraft into an asteroid at a high speed, scientists hope to push the space rock off course. DART, which will feature solar electric propulsion, has dated to intercept the asteroid Didymos' small moon in October 2022. To achieve the collision, DART will employ an onboard camera and sophisticated autonomous navigation software, according to NASA. Scientists expect that the collision will change the speed of the moonlet in its or bit around the main body at a fraction of 1 percent, enough to be measured using telescopes on Earth. The total cost for NASA to launch DART is about $ 69 million, which includes the launch service and other mission-related costs, space agency representatives said. DART is scheduled to launch in June 2021 on a Falcon 9 rocket from Space Launch Complex-4 on the South Base. While the NASA asteroid mission won't occur for two years, another Falcon 9 rocket is set for May from Vandenberg to launch a Canadian Earth observation mission with three small but identical satellites. The Radarsat Constellation Mission will continue previous satellites' efforts to conduct maritime surveillance with ice, surface wind, oil pollution and ship monitoring , Disaster management and ecosystem monitoring of agriculure, wetlands forests and coastal changes. Radarsat-1 launched from Vandenberg in 1995 aboard a Delta II rocket, while Radarsat-2 traveled to space from Kazakhstan aboard Russia's Soyuz rocket in 2007. Our professional journalists work reliably on local news so you can be more informed and engaged in your community. This quality, local reporting is free for you to read and share, but it's not free to produce.